Dr. Brian V. Favero received his Doctor of Medicine (MD) from Creighton University School of Medicine in Omaha, Nebraska in 1985. After completing a residency in internal medicine from the University of Nevada-Reno in 1988, he found he had a passion for helping people with their vision and decided to specialize in Ophthalmology. He completed his ophthalmology residency at the University of Nebraska Medical Center in 1991. From 1991 through 1994 Dr. Favero served as Chief Ophthalmologist in the United States Air Force at Offutt Air Force Base, Nebraska. Dr. Favero continued his US Air Force career in 1997 at Selfridge Air National Guard Base in Michigan. He was awarded his aeronautical orders in March 2001 from Brooks Air Force Base in Texas as a flight surgeon, and on October 1, 2002 he was promoted to Lieutenant Colonel. He currently serves as Chief of Aerospace Medicine at the 911 Aeromedical Staging Squadron in Pittsburgh, Pennsylvania. Dr. Favero was recruited to Port Huron Eye Clinic, under the direction of Dr. Nicholas G. Douvas, as a staff ophthalmologist in August 1994. Upon closure of Port Huron Eye Clinic, efforts began to open Port Huron Ophthalmology which officially launched January 27, 1997. Having a strong interest in refractive surgery and freeing patients of the burden of glasses and contacts, Dr. Favero completed LASIK training in Rochester, New York and Miyazaki, Japan in 1999. 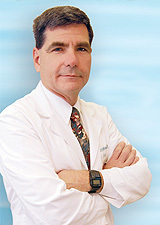 In 2003 he added Conductive Keratoplasty to the refractive procedures he offers, and his expansive experience in premium intra-ocular implants for cataract surgery and Prelex (presbyopic lens exchange) provides even more avenues for his patients to achieve optimal vision without dependence on glasses or contacts. Dr. Favero remains dedicated to bringing new technology, surgical advancements, and treatments to the Port Huron community. 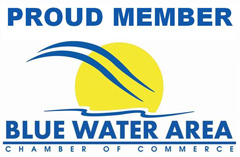 He is currently the only ophthalmologist performing LASIK, Corneal Transplants, and DSAEK in St. Clair County. In keeping with the ever changing medical technology, Dr. Favero continues to go the extra mile to offer extensive alternatives in eye care. He and his staff strive to give patients the comfortable, professional quality of eye care they deserve.